Welcome to Our Stay True Be You Website. The term ‘Stay True Be You’ or ‘us’ or ‘we’ refers to the owner of the website. The term ‘you’ refers to the user or viewer of our website. III. Neither we nor any third parties provide any warranty or guarantee as to the accuracy, timeliness, performance, completeness or suitability of the information and materials found or offered on this website for any particular purpose. You acknowledge that such information and materials may contain inaccuracies or errors and we expressly exclude liability for any such inaccuracies or errors to the fullest extent permitted by law. IV. Your use of any information or materials on this website is entirely at your own risk, for which we shall not be liable. It shall be your own responsibility to ensure that any products, services or information available through this website meet your specific requirements. V.	This website contains material which is owned by or licensed to us. This material includes, but is not limited to, the design, layout, look, appearance and graphics. Reproduction is prohibited other than in accordance with the copyright notice, which forms part of these terms and conditions. VI. All trademarks reproduced in this website, which are not the property of, or licensed to the operator, are acknowledged on the website. VII. Unauthorised use of this website may give rise to a claim for damages and/or be a criminal offence. VIII. From time to time, this website may also include links to other websites. These links are provided for your convenience to provide further information. They do not signify that we endorse the website(s). We have no responsibility for the content of the linked website(s). IX. Users should assume that everything they see or read on this site is copyrighted unless otherwise noted and may not be used without the written permission of Stay True Be You except as provided in these Terms and Conditions or in the text on the site. Stay True Be You neither warrants nor represents that the use of materials displayed on the site will not infringe rights of third parties not owned by or affiliated with the advertising company Stay True Be You. X. Users may download and distribute materials displayed on the site provided that they do not alter, modify or receive consideration for the materials in any way, and that they also retain all copyright and other proprietary notices contained on this website. XI. While, Stay True Be You uses reasonable efforts to include accurate and up-to-date information on the site. Stay True Be You makes no warranties or representations as to its accuracy. Stay True Be You assumes no liability or responsibility for any errors or omissions in the content on the site. In particular, all press releases and other materials which are contained in this site were, to the best of Stay True Be You knowledge, timely and accurate when issued; however, the passage of time can render information stale, and users should not rely on the continued accuracy of any such material beyond the date of issuance. All users should carefully check the dates of issuance of the material contained in this life coaching website. XII. Browsing of the site is at the user's own risk. Stay True Be You or any other party involved in creating, producing, or delivering the site do not accept liability for any direct, incidental, consequential, indirect, or punitive damages arising out of access to, or use of, the site. 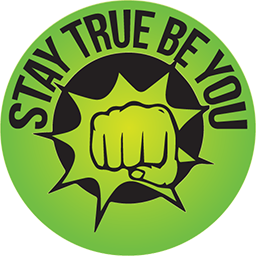 Users should be aware that when they access the Stay True Be You site they could be directed to other sites that are beyond the control of Stay True Be You. These other sites may collect data or solicit personal information. XIII. Stay True Be You also assumes no responsibility, and shall therefore not be liable, for any damages to, or viruses that may infect users computer equipment or other property on account of access to, use of, or browsing in the site or the downloading of any materials, data, text, images, video, or audio from the site. XIV. Images of people or places displayed on the site are either the property of, or used with permission by, Stay True Be You. The use of, or the authorisation of use of, these images by users is prohibited unless specifically permitted by these Terms and Conditions or specific permission provided elsewhere on the site. Any unauthorized use of the images may violate copyright laws, trademark laws, the laws of privacy and publicity, and communications regulations and statutes. XV. The trademarks displayed on this website are registered and unregistered trademarks of Stay True Be You or others. Nothing contained on the site should be construed as granting, by implication, estoppels, or otherwise, any license or right to use any trademarks displayed on the site without the written permission of Stay True Be You or such third party that may own the trademarks displayed on the site. The misuse of the trademarks displayed on the site, or any other content on the site, except as provided in these Terms and Conditions, is strictly prohibited and is a violation of Stay True Be You' intellectual property rights. XVI. Stay True Be You has not necessarily reviewed all of the sites linked to the site and is not responsible for the contents of any off-site pages or any other sites linked to the site. The linking to any other off-site pages or other sites is at the users own risk. XVII. Stay True Be You uses tracking technologies on their website. However, please note that we respect your privacy by not recording any personal information. XVIII. Stay True Be You may at any time revise these Terms and Conditions by updating this posting. Users are bound by any such revisions and should therefore periodically visit this page to review the then current Terms and Conditions to which they are bound. I. The terms and conditions below apply to all coaching and mentoring services provided by Stay True Be You (also referred to as ‘we’, ‘us’ or ‘our’) to any individual or organisation ("the client") and constitute the contract for the service to be provided by Stay True Be You for the client. The term 'coaching' as here used covers life coaching, personal coaching, executive coaching and business coaching for clients and where applicable includes mentoring or supervision services provided for clients, coaches or others. II. Coaching is not psychological counselling or any type of therapy, and should not be construed as such. III. In return for the fees payable by the client (or by a third party on their behalf), Stay True Be You agrees to provide the service as described below and in accordance with the terms and conditions set out below. The client agrees to pay fees for the service on the terms and conditions set out below (in situations where a third party pays the fees, the third party counts as an agent acting on behalf of the client). IV. The date that the first coaching session takes place shall be deemed to be the start date for the service. Participation by any individual in the first coaching session constitutes acceptance of these terms and conditions. The client will be required to sign a contract with Stay True Be You at the commencement of coaching. I. Stay True Be You will seek to enable the client to set and achieve goals that will help to bring about desired outcomes for the client. The client has sole responsibility for any decisions they may make following coaching with us. Stay True Be You accepts no liability for the client’s actions. We have no liability for any loss incurred by any client, whether financial or otherwise, following commencement of coaching sessions, or for any perceived failure by the client, whether justified or otherwise, to achieve a material improvement in quality of life or to achieve their desired outcomes or goals. II. The client will be required to complete a ‘Commitment to Coaching’ form at the commencement of coaching; the client will be asked if they are ready to take action to make the necessary changes. I. Personal information or business information supplied to us by the client in coaching sessions will be treated as confidential. It will not be disclosed to a third party without the client's prior permission, save where required by law. II. Stay True Be You and the client will be required to sign a confidentiality agreement at commencement of coaching. We will respect the client’s privacy and seek written permission before disclosing that they are, a client of ours. III. Stay True Be You requires that the client provide an emergency contact name and telephone number, to be used only in the event of an emergency, such as sudden illness or accident. IV. All documentation and information relating to the client will be held according to the Australian Data Protection Act 2018, except as permitted by the client in writing or as required by law. I. Stay True Be You will discuss with the client their preferred style of coaching. The client has the right to talk openly and candidly with their coach, and the client is encouraged to discuss any concerns they have with us on any area of the coaching process. We welcome openness and honesty. III. Stay True Be You is continually striving to ensure the standard of service it provides to its clients remains outstanding. At the end of the coaching process, or series of coaching sessions, the client will be asked to complete a feedback form. I. The coaching schedule will be arranged between Stay True Be You and the client and can be booked up to 3 months in advance. Stay True Be You will recommend the frequency of coaching sessions based on a professional assessment of the client’s requirements. This recommendation, or plan, is not binding and may be altered and adjusted throughout the coaching journey by mutual agreement, in accordance with the terms set out in this agreement. II. The number of coaching session will be agreed at the start of coaching between Stay True Be You and the client, and confirmed by us by email or written correspondence. Where no specific number is agreed, sessions will be provided on a session-by-session basis. Due to the nature of coaching, the initial term usually recommended is four sessions. Full payment or partial weekly installments, is due before or at the client’s first weekly session. Additional sessions can be booked thereafter. III. The length of each session is usually 50-60 minutes but can be agreed upon between Stay True Be You and the client at the commencement of the session. IV. Coaching will take place between the client and their coach face-to-face (venue by mutual agreement), via Skype (client calls coach), or by telephone (client calls coach). Face-to-face coaching will take place in our offices or at a mutually agreed venue. Where coaching takes place at a mutually agreed venue the client will be liable for any costs incurred by Stay True Be You at that time. Unless otherwise agreed, the client is responsible for telephoning Stay True Be You at agreed times. V.	Stay True Be You may assign the client tasks or exercises to complete between coaching sessions. There is no obligation on the client to complete these tasks, but not doing so may slow the client's progress in gaining improved quality of life or achieving desired business or personal outcomes. Where possible, clients are requested to submit any information requested by Stay True Be You relating to assignments at least 24 hours before the coaching session when they are to be discussed. We will provide feedback on completed assignments during coaching sessions. VI. The client may contact Stay True Be You by phone or email between sessions to share a success or seek clarification on a coaching issue. We view support between sessions as a necessary part of the coaching process. We will always advise a client in advance if the nature of a client's contact is likely to incur an additional charge, and no such charges will be imposed without the client's agreement. I. If the client needs to rearrange a coaching session, they should provide at least 48 hours’ notice. No refunds will be given to clients for unused coaching sessions unless 48 hours’ notice has been given. In exceptional circumstances Stay True Be You may need to rearrange a coaching session; in these circumstances we will use reasonable endeavors to provide a mutually satisfactory alternative appointment the client. II. Unless agreed otherwise, where a client pays for a session, or sessions, in advance they must have the coaching session(s) that they have paid for within 6 months of the payment, or their fee is forfeited. III. The client may terminate their coaching contract at any time in writing. Any monies owed at the time of cancellation will become due immediately. Refunds on payments made against future sessions will be at the discretion of Stay True Be You. IV. In exceptional circumstances, such as illness or unavailability due to bereavement or other commitments, inappropriate behaviour by the client, actual or potential conflict of interest, or other reasons, Stay True Be You can decide to terminate the service to the client early or refuse or be unable to provide further coaching sessions to the client. In such a circumstance the client will be given reasonable notice of termination by Stay True Be You where practicable, and will be refunded any advance payments made for coaching sessions not yet provided. V.	There may be occasions when Stay True Be You may recommend to the client that they seek an alternative service more suited to their current needs. In this event, we will fully discuss the reasons for the recommendation with the client. It is the client’s sole responsibility to decide whether to follow the recommendation and Stay True Be You does not accept any liability for the outcome of any decisions the client choses to make. I. This website is operated by Stay True Be You. Throughout the site, the terms “we”, “us” and “our” refer to Stay True Be You. Stay True Be You offers this website, including all information, tools and services available from this site to you, the user, conditioned upon your acceptance of all terms, conditions, policies and notices stated here. II. By visiting our site and/ or purchasing something from us, you engage in our “Service” and agree to be bound by the following terms and conditions (“Terms of Service”, “Terms”), including those additional terms and conditions and policies referenced herein and/or available by hyperlink. These Terms of Service apply to all users of the site, including without limitation users who are browsers, vendors, customers, merchants, and/ or contributors of content. III. Please read these Terms of Service carefully before accessing or using our website. By accessing or using any part of the site, you agree to be bound by these Terms of Service. If you do not agree to all the terms and conditions of this agreement, then you may not access the website or use any services. If these Terms of Service are considered an offer, acceptance is expressly limited to these Terms of Service. IV. Any new features or tools, which are added to the current store, shall also be subject to the Terms of Service. You can review the most current version of the Terms of Service at any time on this page. We reserve the right to update, change or replace any part of these Terms of Service by posting updates and/or changes to our website. It is your responsibility to check this page periodically for changes. Your continued use of or access to the website following the posting of any changes constitutes acceptance of those changes. V. Our store is powered by ECWID. They provide us with the online e-commerce platform that allows us to sell our products and services to you. I. By agreeing to these Terms of Service, you represent that you are at least the age of majority in your state or province of residence, or that you are the age of majority in your state or province of residence and you have given us your consent to allow any of your minor dependents to use this site. II. You may not use our products for any illegal or unauthorized purpose nor may you, in the use of the Service, violate any laws in your jurisdiction (including but not limited to copyright laws). III. You must not transmit any worms or viruses or any code of a destructive nature. IV. A breach or violation of any of the Terms will result in an immediate termination of your Services. II. You understand that your content (not including credit card information), may be transferred unencrypted and involve (a) transmissions over various networks; and (b) changes to conform and adapt to technical requirements of connecting networks or devices. Credit card information is always encrypted during transfer over networks. III. You agree not to reproduce, duplicate, copy, sell, resell or exploit any portion of the Service, use of the Service, or access to the Service or any contact on the website through which the service is provided, without express written permission by us. IV. The headings used in this agreement are included for convenience only and will not limit or otherwise affect these Terms. I. We are not responsible if information made available on this site is not accurate, complete or current. The material on this site is provided for general information only and should not be relied upon or used as the sole basis for making decisions without consulting primary, more accurate, more complete or more timely sources of information. Any reliance on the material on this site is at your own risk. II. This site may contain certain historical information. Historical information, necessarily, is not current and is provided for your reference only. We reserve the right to modify the contents of this site at any time, but we have no obligation to update any information on our site. You agree that it is your responsibility to monitor changes to our site. I. Prices for our products are subject to change without notice. II. We reserve the right at any time to modify or discontinue the Service (or any part or content thereof) without notice at any time. III. We shall not be liable to you or to any third-party for any modification, price change, suspension or discontinuance of the Service. I. Certain products or services may be available exclusively online through the website. These products or services may have limited quantities and are subject to return or exchange only according to our Return Policy. II. We have made every effort to display as accurately as possible the colours and images of our products that appear at the store. We cannot guarantee that your computer monitor's display of any colour will be accurate. III. We have made every effort in informing you, the client, the difference in measurements and sizes. Measurements may vary from product to product and are displayed in half chest (cm), unless stated otherwise. IV. We reserve the right, but are not obligated, to limit the sales of our products or Services to any person, geographic region or jurisdiction. We may exercise this right on a case-by-case basis. V. We reserve the right to limit the quantities of any products or services that we offer. All descriptions of products or product pricing are subject to change at anytime without notice, at the sole discretion of us. VI. We reserve the right to discontinue any product at any time. Any offer for any product or service made on this site is void where prohibited. VII. We do not warrant that the quality of any products, services, information, or other material purchased or obtained by you will meet your expectations, or that any errors in the Service will be corrected. I. If you are not 100% satisfied with your purchase, you can return the product and get a full refund for up to 7 days from the date you purchased it or exchange the product for another one, be it similar or not for up to 14 days from the date purchased. III. Refunds will only be given once the product is returned and the Reason For Return form is filled out. IV. We accept payment via cash, credit card and PayPal. I. If out of stock, orders may take up to 2-3 weeks in most cases. II. A 50% deposit of the total cost for any out of stock products or bulk orders over $200 AUD must be payed before order can be placed; with the rest of the payment being covered once Stay True Be You receives your product/s and before we deliver them to you. III. Once your order has been put through to our suppliers, the 50% deposit payed is non-refundable. I. We do not issue refunds for lost, unclaimed, or undeliverable packages. If a package is damaged during transit or returned as undeliverable/unclaimed, it is the customer's responsibility to follow up with the shipping carrier. II. All shipping cost for orders, refunds or exchanges are to be covered by the customer unless stated otherwise. I. We reserve the right to refuse any order you place with us. We may, in our sole discretion, limit or cancel quantities purchased per person, per household or per order. These restrictions may include orders placed by or under the same customer account, the same credit card, and/or orders that use the same billing and/or shipping address. II. In the event that we make a change to or cancel an order, we may attempt to notify you by contacting the e-mail and/or billing address/phone number provided at the time the order was made. III. We reserve the right to limit or prohibit orders that, in our sole judgment, appear to be placed by dealers, resellers or distributors. IV. You agree to provide current, complete and accurate purchase and account information for all purchases made at our store. You agree to promptly update your account and other information, including your email address and credit card numbers and expiration dates, so that we can complete your transactions and contact you as needed. V. For more detail, please review our Returns Policy. I. We may provide you with access to third-party tools over which we neither monitor nor have any control or input over. II. You acknowledge and agree that we provide access to such tools ”as is” and “as available” without any warranties, representations or conditions of any kind and without any endorsement. We shall have no liability whatsoever arising from or relating to your use of optional third-party tools. III. Any use by you of optional tools offered through the site is entirely at your own risk and discretion and you should ensure that you are familiar with and approve of the terms on which tools are provided by the relevant third-party provider(s). IV. We may also, in the future, offer new services and/or features through the website (including, the release of new tools and resources). Such new features and/or services shall also be subject to these Terms of Service. I. Certain content, products and services available via our Service may include materials from third parties. II. Third-party links on this site may direct you to third-party websites that are not affiliated with us. We are not responsible for examining or evaluating the content or accuracy and we do not warrant and will not have any liability or responsibility for any third-party materials or websites, or for any other materials, products, or services of third-parties. III. We are not liable for any harm or damages related to the purchase or use of goods, services, resources, content, or any other transactions made in connection with any third-party websites. Please review carefully the third-party's policies and practices and make sure you understand them before you engage in any transaction. Complaints, claims, concerns, or questions regarding third party products should be directed to the third party. I. If, at our request, you send certain specific submissions (for example contest entries) or without a request from us you send creative ideas, suggestions, proposals, plans, or other materials, whether online, by email, by postal mail, or otherwise (collectively, 'comments'), you agree that we may, at any time, without restriction, edit, copy, publish, distribute, translate and otherwise use in any medium any comments that you forward to us. We are and shall be under no obligation (1) to maintain any comments in confidence; (2) to pay compensation for any comments; or (3) to respond to any comments. II. We may, but have no obligation to, monitor, edit or remove content that we determine in our sole discretion are unlawful, offensive, threatening, libellous, defamatory, pornographic, obscene or otherwise objectionable or violates any party’s intellectual property or these Terms of Service. III. You agree that your comments will not violate any right of any third party, including copyright, trademark, privacy, personality or other personal or proprietary right. You further agree that your comments will not contain libellous or otherwise unlawful, abusive or obscene material, or contain any computer virus or other malware that could in any way affect the operation of the Service or any related website. IV. You may not use a false e-mail address, pretend to be someone other than yourself, or otherwise mislead us or third parties; as to the origin of any comments. V. You are solely responsible for any comments you make and their accuracy. We take no responsibility and assume no liability for any comments posted by you or any third party. I. Occasionally there may be information on our site or in the Service that contains typographical errors, inaccuracies or omissions that may relate to product descriptions, pricing, promotions, offers, product shipping charges, transit times and availability. We reserve the right to correct any errors, inaccuracies or omissions, and to change or update information or cancel orders if any information in the Service or on any related website is inaccurate at any time without prior notice (including after you have submitted your order). II. We undertake no obligation to update, amend or clarify information in the Service or on any related website, including without limitation, pricing information, except as required by law. No specified update or refresh date applied in the Service or on any related website, should be taken to indicate that all information in the Service or on any related website has been modified or updated. I. In addition to other prohibitions as set forth in the Terms of Service, you are prohibited from using the site or its content: (a) for any unlawful purpose; (b) to solicit others to perform or participate in any unlawful acts; (c) to violate any international, federal, provincial or state regulations, rules, laws, or local ordinances; (d) to infringe upon or violate our intellectual property rights or the intellectual property rights of others; (e) to harass, abuse, insult, harm, defame, slander, disparage, intimidate, or discriminate based on gender, sexual orientation, religion, ethnicity, race, age, national origin, or disability; (f) to submit false or misleading information; (g) to upload or transmit viruses or any other type of malicious code that will or may be used in any way that will affect the functionality or operation of the Service or of any related website, other websites, or the Internet; (h) to collect or track the personal information of others; (i) to spam, phish, pharm, pretext, spider, crawl, or scrape; (j) for any obscene or immoral purpose; or (k) to interfere with or circumvent the security features of the Service or any related website, other websites, or the Internet. II. We reserve the right to terminate your use of the Service or any related website for violating any of the prohibited uses. I. We do not guarantee, represent or warrant that your use of our service will be uninterrupted, timely, secure or error-free. II. We do not warrant that the results that may be obtained from the use of the service will be accurate or reliable. III. You agree that from time to time we may remove the service for indefinite periods of time or cancel the service at any time, without notice to you. IV. You expressly agree that your use of, or inability to use, the service is at your sole risk. The service and all products and services delivered to you through the service are (except as expressly stated by us) provided 'as is' and 'as available' for your use, without any representation, warranties or conditions of any kind, either express or implied, including all implied warranties or conditions of merchantability, merchantable quality, fitness for a particular purpose, durability, title, and non-infringement. V. In no case shall Stay True Be You, our directors, officers, employees, affiliates, agents, contractors, interns, suppliers, service providers or licensors be liable for any injury, loss, claim, or any direct, indirect, incidental, punitive, special, or consequential damages of any kind, including, without limitation lost profits, lost revenue, lost savings, loss of data, replacement costs, or any similar damages, whether based in contract, tort (including negligence), strict liability or otherwise, arising from your use of any of the service or any products procured using the service, or for any other claim related in any way to your use of the service or any product, including, but not limited to, any errors or omissions in any content, or any loss or damage of any kind incurred as a result of the use of the service or any content (or product) posted, transmitted, or otherwise made available via the service, even if advised of their possibility. Because some states or jurisdictions do not allow the exclusion or the limitation of liability for consequential or incidental damages, in such states or jurisdictions, our liability shall be limited to the maximum extent permitted by law. I. You agree to indemnify, defend and hold harmless Stay True Be You and our parent, subsidiaries, affiliates, partners, officers, directors, agents, contractors, licensors, service providers, subcontractors, suppliers, interns and employees, harmless from any claim or demand, including reasonable attorneys’ fees, made by any third-party due to or arising out of your breach of these Terms of Service or the documents they incorporate by reference, or your violation of any law or the rights of a third-party. I. In the event that any provision of these Terms of Service is determined to be unlawful, void or unenforceable, such provision shall nonetheless be enforceable to the fullest extent permitted by applicable law, and the unenforceable portion shall be deemed to be severed from these Terms of Service, such determination shall not affect the validity and enforceability of any other remaining provisions. I. The obligations and liabilities of the parties incurred prior to the termination date shall survive the termination of this agreement for all purposes. II. These Terms of Service are effective unless and until terminated by either you or us. You may terminate these Terms of Service at any time by notifying us that you no longer wish to use our Services, or when you cease using our site. III. If in our sole judgment you fail, or we suspect that you have failed, to comply with any term or provision of these Terms of Service, we also may terminate this agreement at any time without notice and you will remain liable for all amounts due up to and including the date of termination; and/or accordingly may deny you access to our Services (or any part thereof). I. The failure of us to exercise or enforce any right or provision of these Terms of Service shall not constitute a waiver of such right or provision. II. These Terms of Service and any policies or operating rules posted by us on this site or in respect to The Service constitutes the entire agreement and understanding between you and us and govern your use of the Service, superseding any prior or contemporaneous agreements, communications and proposals, whether oral or written, between you and us (including, but not limited to, any prior versions of the Terms of Service). III. Any ambiguities in the interpretation of these Terms of Service shall not be construed against the drafting party. I. These Terms of Service and any separate agreements whereby we provide you Services shall be governed by and construed in accordance with the laws of . I. You can review the most current version of the Terms of Service at any time at this page. II. We reserve the right, at our sole discretion, to update, change or replace any part of these Terms of Service by posting updates and changes to our website. It is your responsibility to check our website periodically for changes. Your continued use of or access to our website or the Service following the posting of any changes to these Terms of Service constitutes acceptance of those changes.